The great mathematician Euler (1707-1783) was an authority on magic squares and did a considerable amount of work on Latin Squares and Graeco Latin squares. He even came up with methods for constructing them. 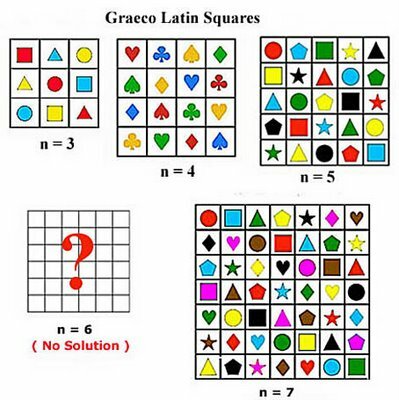 But he could never produce a Graeco Latin Square of the order 6. 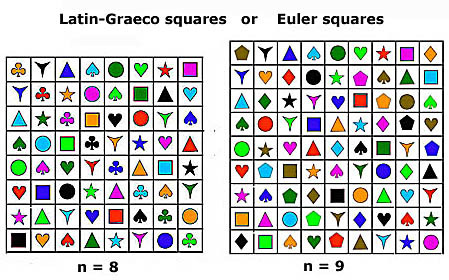 (n=6). This led him to state the famous “ 36 Officers Problem”. It goes like this. 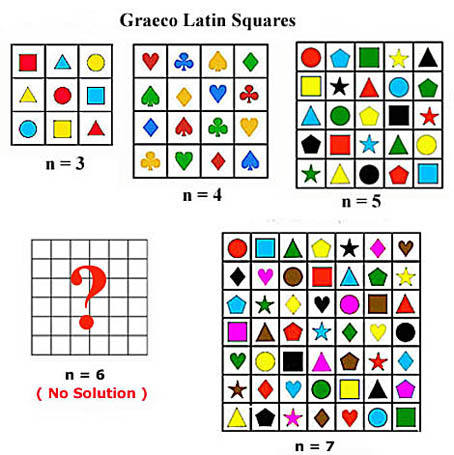 The above is a diagrammatic colorful representation of some of the solutions for Latin-Graeco squares starting from n=3 to n=9. The squares of n = 8 and n = 9 was based on the method of construction by Bose.